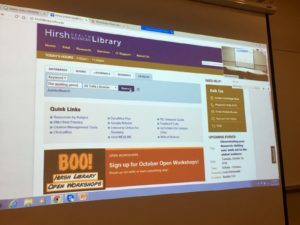 We were joined by Laura Pavlech, Research and Instruction Librarian at Hirsh Library and liaison to the Sackler School to learn more about library resources available to postdocs! All the libraries have their own websites. The Tisch library also has its own chat. None of their resources require VPN! For articles available within the library, you can request it and they print it out for you. Visualizing the literature search as a scientific approach. What is the info needed? Where can you find this info? Where to find a particular MeSH term? This entry was posted in Boston, Postdoc, Publishing, Research, Resources. Nathan Vanderford joined us for a great seminar on navigating the world of alternative careers in Academia! Where do current US Biology, Agricultural and Environmental PhD Grads work post-defense? It’s OK to not pursue a tenure track position! Use your PhD as a hub for your career path. What does a research administrator do? Lots of reporting to the state and government agencies! This entry was posted in Academia, AltAc, Career Development, Networking, Postdoc, Postdoc Seminar, WebEx. 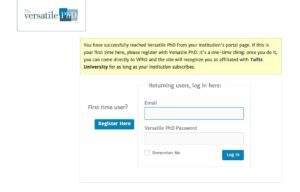 Tufts University Postdocs Can Now Access the VersatilePhD! Interested in exploring non-academic career options? 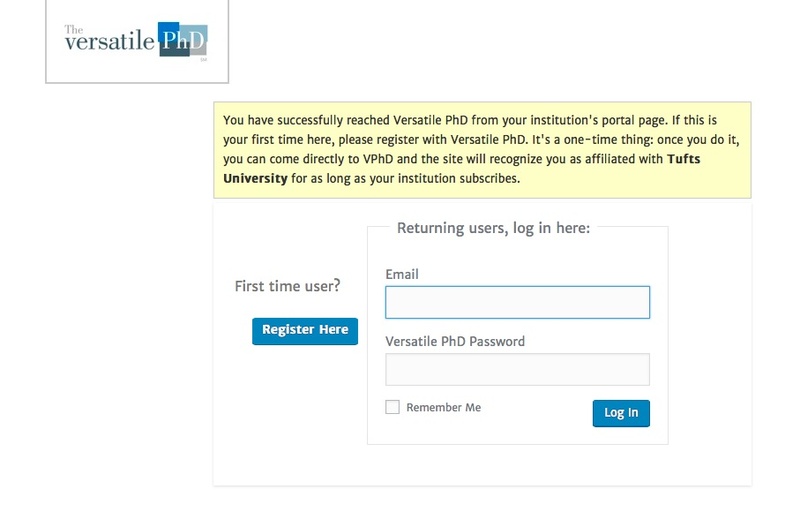 Versatile PhD is the oldest, largest online community dedicated to non-academic and non-faculty careers for PhDs in humanities, social science and STEM. Join over 70,000 other members in learning about options for those in (and out) of graduate school! VPhD helps graduate students identify, prepare for, and excel in possible non-academic careers. 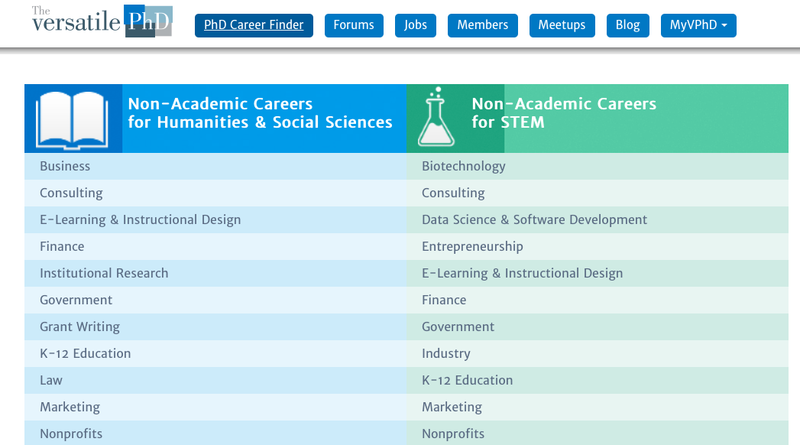 The site includes content for humanities, social sciences, and STEM fields. 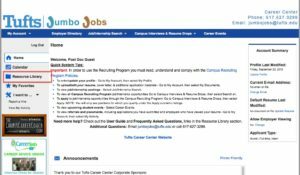 You’ll have access to the career finder as well as real-life examples of Ph.Ds, ABDs and MAs who pursued non-academic careers. You’ll get their stories, advice, inside information about their fields, and even the actual resumes and cover letters they used to get their first non-academic jobs. 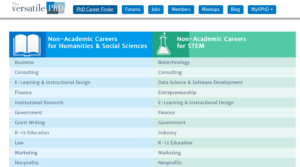 You also get access to the community discussion forums, a member directory listing thousands of PhDs working across the United States, job listings, and great information about a wide variety of possible careers. 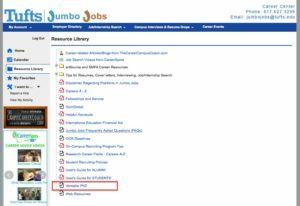 Log into Jumbo Jobs, then click on “Resource Library” and click on the Versatile PhD link to access this resource. Stay tuned for a seminar on using the VersatilePhD in your career development! Login in using “postdoc” as your login and “guest” as your password. Navigate to the VersatilePhD to register your email. Register using any email address. Activate your account by checking your email. Check out the forums and ask questions of the great online community! This entry was posted in AltAc, Career Development, Industry, Interview, Job Listing, Networking, Research, Resources, Tenure Track.